I know that C-h v AUCTeX-version should give me AUCTeX version. However, I don't have such variable -- describe variable gives no match. I have learned that the version is 11.89.4 from the package manager. 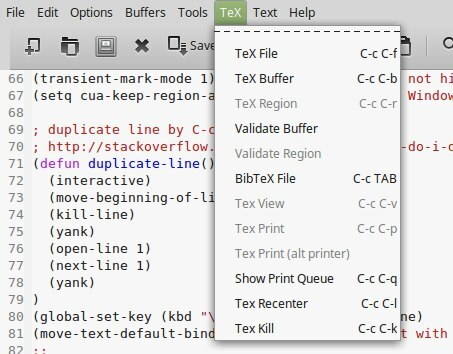 I don't have variable TeX-view-program-list, which, as I've read, is used for setting view program. In fact, I have only three variables starting with Tex, and all of them I've declared in initl.el myself: TeX-PDF-mode, TeX-auto-save, TeX-pase-self. There is no key C-c ~ which is supposed to turn on math mode. There is no variable LaTeX-math-abbrev-prefix and no function LaTeX-math-mode, although I've added line (add-hook 'LaTeX-mode-hook 'LaTeX-math-mode) to my init.el and it had been read without any problems. some other things, but I think this should be enough to show the problem. My OS is Ubuntu 14.04, GNU Emacs 24.5.1. This is version is still absent from Ubuntu repos, so I have built it from sources and installed via checkinstall. Additional info: Ubuntu package auctex is not installed -- I just followed manual instructions and it doesn't says anything about system-wide packages. I have no variable TeX-lisp-directory; If I start Emacs without executing init.el (-q), and then run M-x package-initialize, I get the following error: (file-error "Cannot open load file" "no such file or directory" "tex-site"). I don't know what it means right now, but it seems that google has something on this -- I will look into. What's wrong with this way of loading packages? Should I require them explicitly or not? Not the answer you're looking for? Browse other questions tagged package auctex or ask your own question.